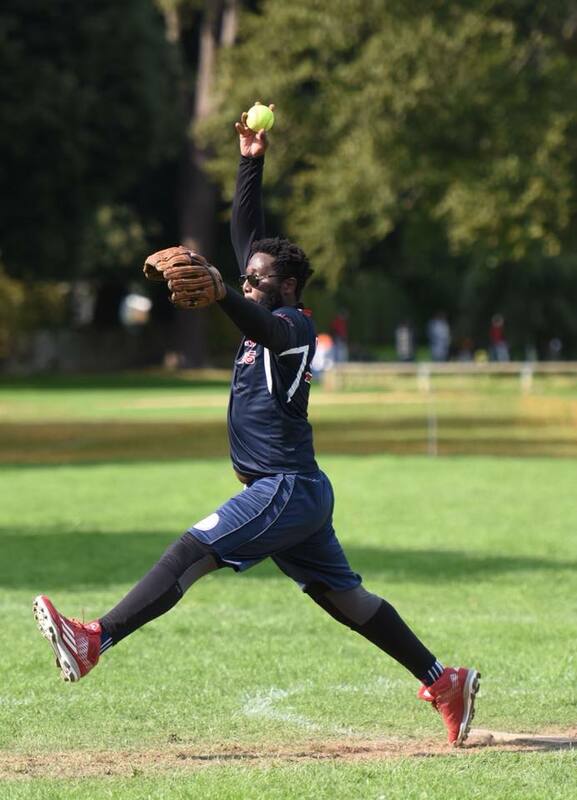 Chichester Falcons Softball Club hosted a co-ed fastpitch tournament on August Bank Holiday weekend, featuring five teams from Europe across two fields. Dridma Rivas from Spain, Paris Patriots from France, London Meteors and a GB U19 squad joined their hosts for two days at Oaklands Park Softball Field, where they battled out a round robin, a home run derby and two playoff rounds before the weather unfortunately brought things to a close, a few hours earlier than planned. 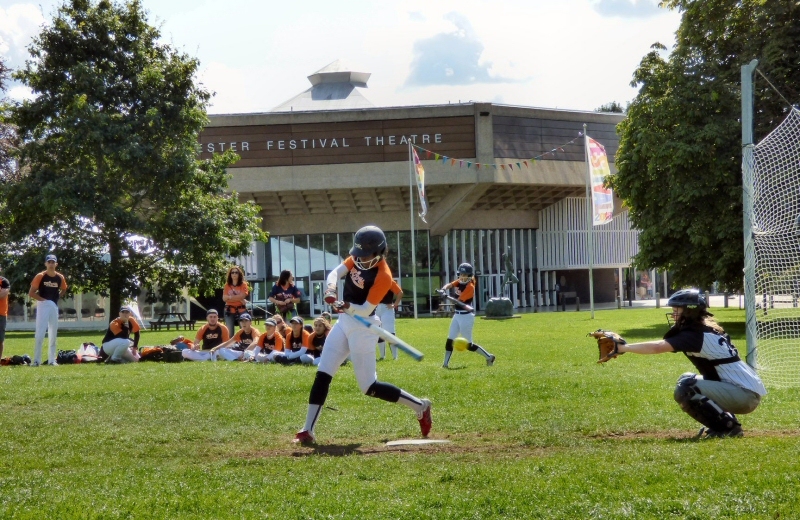 The Falcons have put on a junior fastpitch tournament for the last two years, but after playing in a handful of co-ed tournaments in Paris lately, manager David Morris decided to switch to a senior age group for 2018. "I found that in Europe they use a soft core ball, which makes good sense for co-ed fastpitch, and the pitcher-catcher battery has to be mixed or all-female. Other than that it’s what we’re used to at the Great Britain Fastpitch League (GBFL) every year. I am very pleased that Martha Moya (Spain) and Will Notue (France) were able to bring their teams to the UK – they are wonderful guests to have in our city and added perfectly to the flavour of the event". Wes Knapp brought a Meteors team from London, calling on the services of some Danish friends to fill his roster, while Ian Tomlin fielded a young team of GB squad and development players, including Oliver Howley and Bronte Harvey from Chichester. 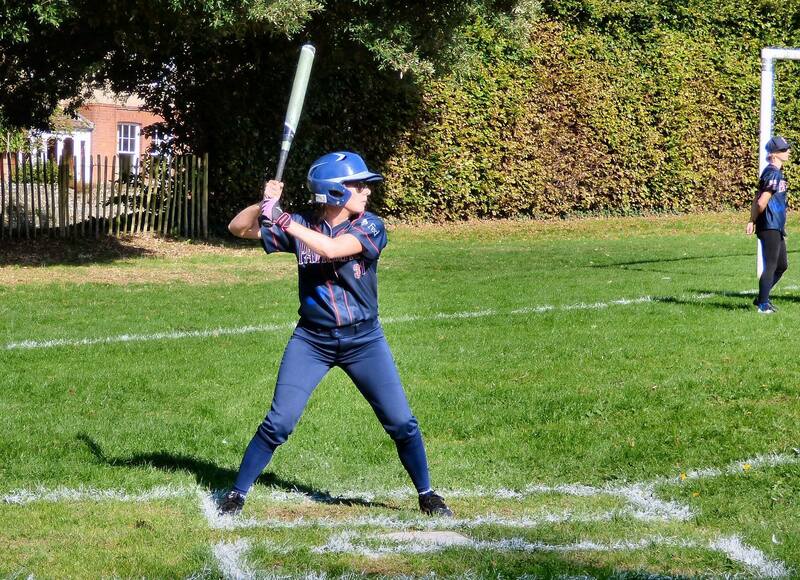 The Falcons team was a relatively inexperienced squad, who have stepped up from slowpitch and have been working hard on their fastpitch game in recent months, helped out by GBFL stalwarts Sam Grafton and Ieuan Gale. The round robin stages saw the Meteors go undefeated while GB went 3 & 1, ending on a tight one-run game with Dridma Rivas. Patriots didn’t quite manage a win unfortunately, but Dridma Rivas finished 2 & 2, with wins over the Falcons and Patriots only allowing one run in each game. Falcons managed a win on their first game against Patriots but ended up 1 & 3. At the end Saturday afternoon the Falcons fired up their pitching machine for a home run derby – anyone in attendance who wanted to hit was allowed three swings at as many pitches as they needed. Men and women competed separately, and Carina Thorsland (Meteors) and Mason Brockway (GB) took the prizes – Mason with the only over-the-fence hit of the contest. Sunday began with the final round robin games with an ominous weather forecast and the rainclouds baring their teeth, but the first round of playoffs were barely completed with the rain falling hard and the pitchers struggling to find a grip with their fingers and feet. The event was brought to a close; as some teams had not taken part in a playoff by then, the round robin placings were set as the final standings. The teams retired nearby to The Bell Inn, who had provided food and drink for the tournament, for a closing ceremony where trophies were given out and MVP prizes were awarded to Josh Peat (GB) and Aida Caballero (Dridma Rivas). Thanks also went to Sue Howley, who volunteered her expertise and time for the weekend as first aid officer. "We definitely want to do this again next year", says David Morris. "With a longer day there is capacity for eight teams, so now that we’ve proven the event can work in Chichester, we hope to have more teams from Europe enter next year."